The London based startup Home Run has raised over £470k in the past few weeks from 201 investors across 21 countries. Home Run is running a crowdfunding campaign with Seedrs. The campaign will remain open for ‘a few more weeks,’ the company announced in an official statement. Home Run is a real-time online grocery fulfillment service helping retailers reach more customers faster and cheaper. Customers can log in to Home Run’s website or mobile app, fill up their basket from their favorite supermarket and have their order delivered to their door in as little as 60 minutes. Home Run is already working with a number of supermarket chains, including Tesco, Marks & Spencer, Waitrose, and Whole Foods. 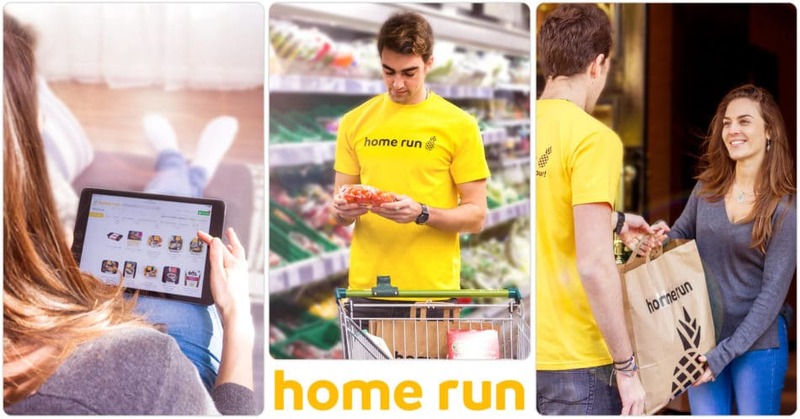 The new funding will help Home Run to start a B2B white label proposition for European grocers that want to use Home Run’s suite of proprietary technology to launch or advance their own on-demand online grocery offering. Takis Malavetas, co-founder, and CEO of Home Run, said: “At Home Run, we have developed a platform that reflects our vision of how grocery shopping should be done in the 21st Century.